Since the inception of the internet, alternative media has shape-shifted from and to different forms. Alternative and mainstream media are very different when it comes to production, content, and distribution, thus the alternative news media do not follow the same script as those from mainstream who in other words are referred as established or dominant media. Alternative media has been seen to be on the forefront in developing narratives and raising voices in this clutter that has been filed with political correctness, objectivity disregard as well as transformative rhetoric. The internet and its freedom have blurred the previous barriers to entry to this media. You will find newspapers are also into video production while at the same time radio stations have their own content to read from. This has made it be difficult for the mainstream media to monopolize this industry, which is a good thing. Alternative news media have made news reporting more interactive as they can effectively engage with their consumers. The fact that alternative news media goes past what, when as well as when to focusing on why who and why makes it popular as it has turned this previous boring one-man show into an adventure playground. In this article, we will focus on leading sources of alternative journalism news media that are reliable. This alternative media is a Facebook favorite because of its ability to share its news clip on Facebook. The anti-media is among the most visited website in the whole world, it has Facebook to thank it for it. This website is popular for being among the first news outlets to publish on stories of the anti-police protest in the whole of America. This website is the place to be if you are after American news that the mainstream outlets have neglected. 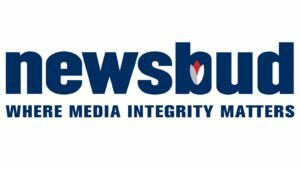 Newsbudd was founded by Sibel Edmonds a former translator of the FBI, who is also the president and founder of the whistleblower’s coalition (NSWBC) and the author of The Lone Gladio, Classified Woman. Sidel is famously known for asking seriously about the 9/11 happenings. Newsbudd reportings are non-partisan, independent and take up stories that have been blacked out by the mainstream media. Their coverage is not limited to America but the whole globe. A Robert Parry foundation. This outlet was responsible for revealing the Iran-contra scandal in the 80s. Parry is driven by the belief that Mainstream is on a spree of brainwash as it gives out distorted information. This has led to him with his team being on the forefront of exposing the Ukraine crisis. Yes, the mainstream news outlet has been distorting information and it filled with a commercial advertisement that messes your comfort. However, running to alternative news media without any consideration is in itself jumping from the fire into the pan. So before reading or watching any news confirm its credibility. It’s now time to give a description of who I am and what I represent. Hey, guys! So, who am I, that is indeed a question, which yields many possible results. All of which would be far too great to list in one book, never mind one short biography.